The designation of Certified Management Accountant (CMA) signifies a blend of accounting and financial managerial skills that are not easy to obtain and are highly sought after in the industry. It signals that this professional can view situations from both an accounting angle and a financial management perspective. Individuals with the CMA designation earn on average $22,000 more a year than accountants who do not have the CMA credential. Candidates must be members of the Institute of Management Accountants (IMA). Candidates must hold a bachelor’s degree or higher from an accredited college or university. Candidates must have at least two uninterrupted years of work experience in managerial accounting or financial management. Entrance into the CMA program can be completed over a period of six months to three years. The CMA examination has two parts. 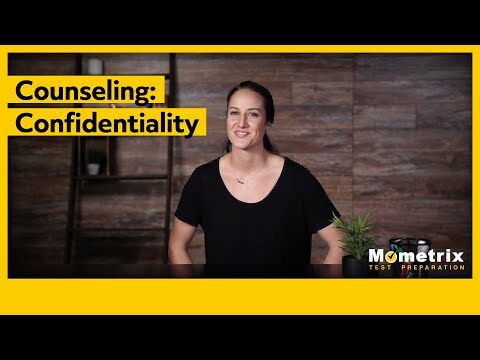 Part one assesses the candidate’s knowledge on the subject of financial planning, performance, and control; and part two focuses on financial decision-making. Each part must be taken separately, and part one must be passed before the candidate is permitted to take part two. Each part consists of 100 multiple-choice questions and two essay questions. Three hours is allotted for completion of the multiple-choice portion of the examination, and one hour is allotted for completion of the two essay questions. The essay portion of the test will be distributed a) after the three hours are up or the multiple-choice section has been completed, whichever comes first, and b) at least half of the multiple-choice questions are answered correctly. Once the essay portion has begun, the candidate cannot go back to the multiple-choice section. The CMA examination is offered in three windows of time throughout the year. Candidates may take the examination or part of the examination only once in any testing window. 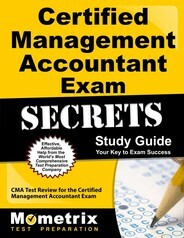 Ace the CMA test using our CMA exam study guide with practice questions. 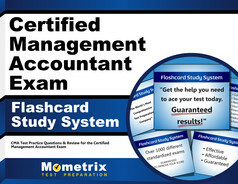 Quickly Solve Difficult CMA Test Questions with the CMA Flashcard Study System.